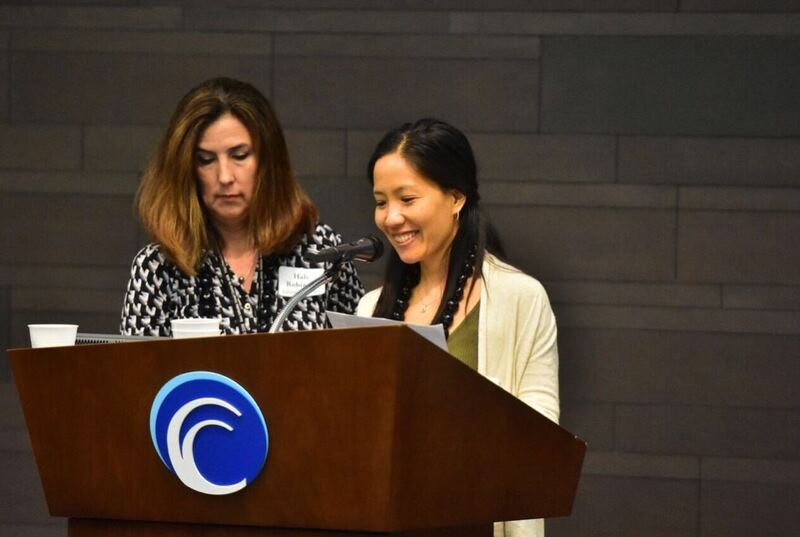 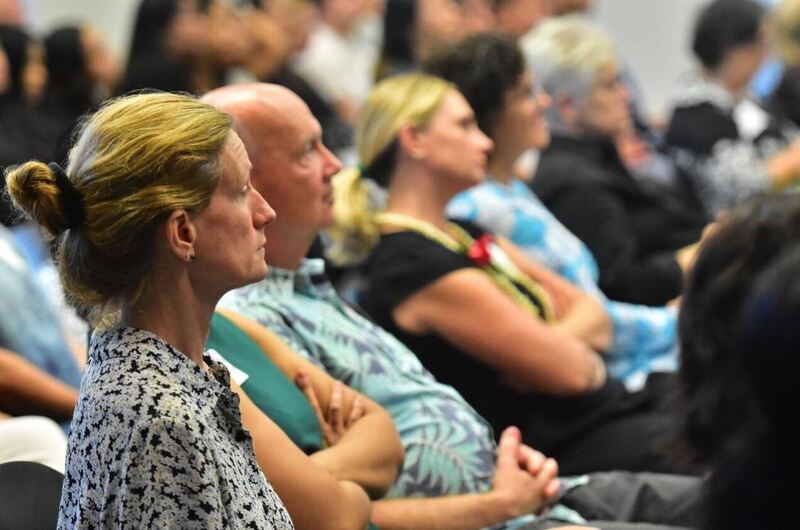 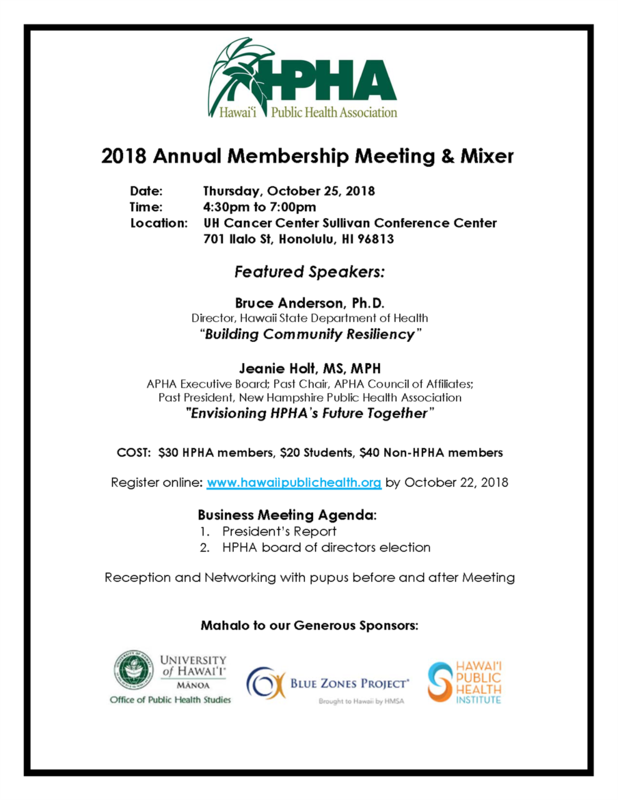 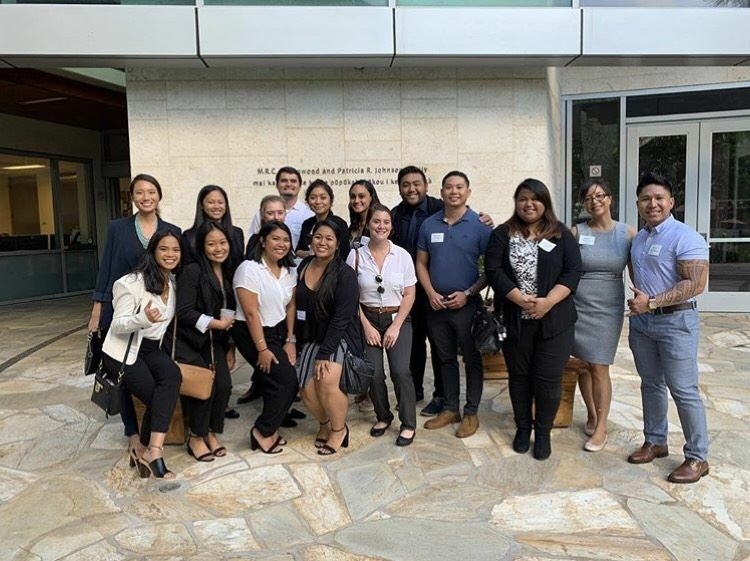 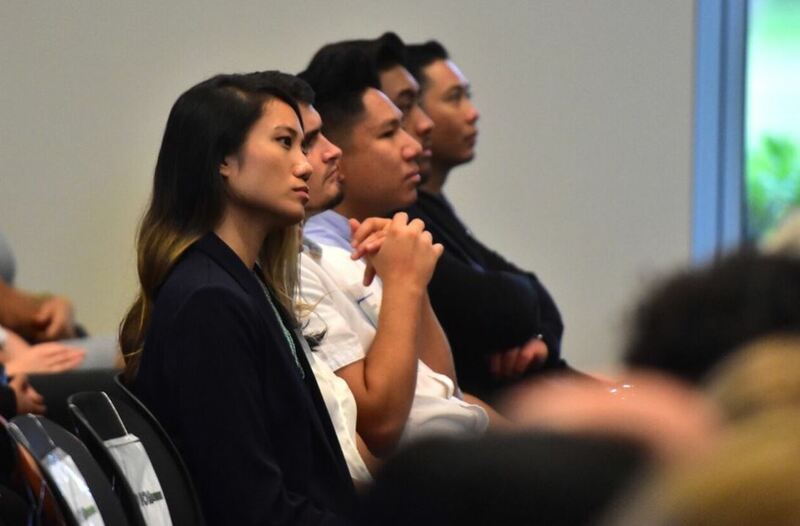 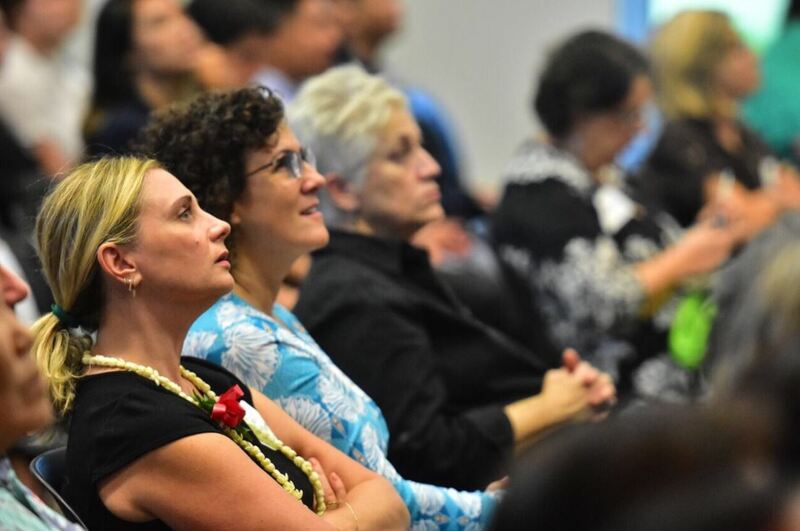 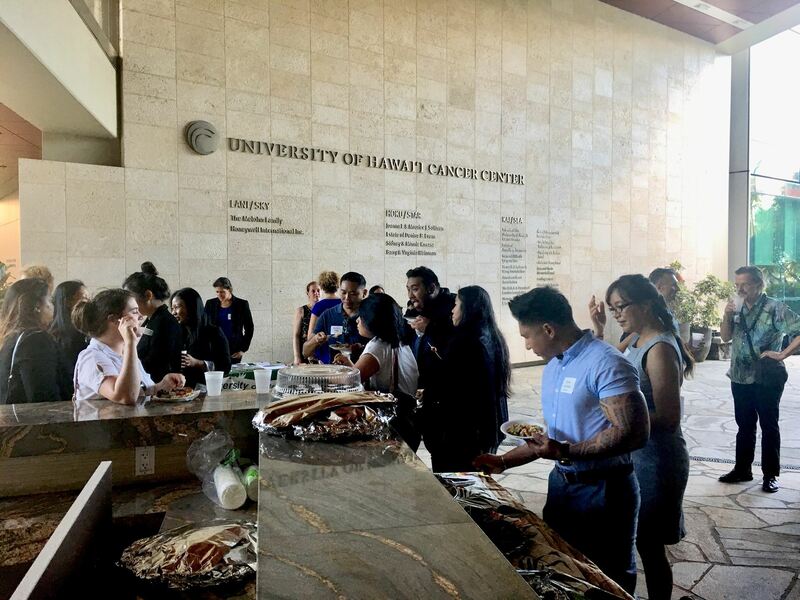 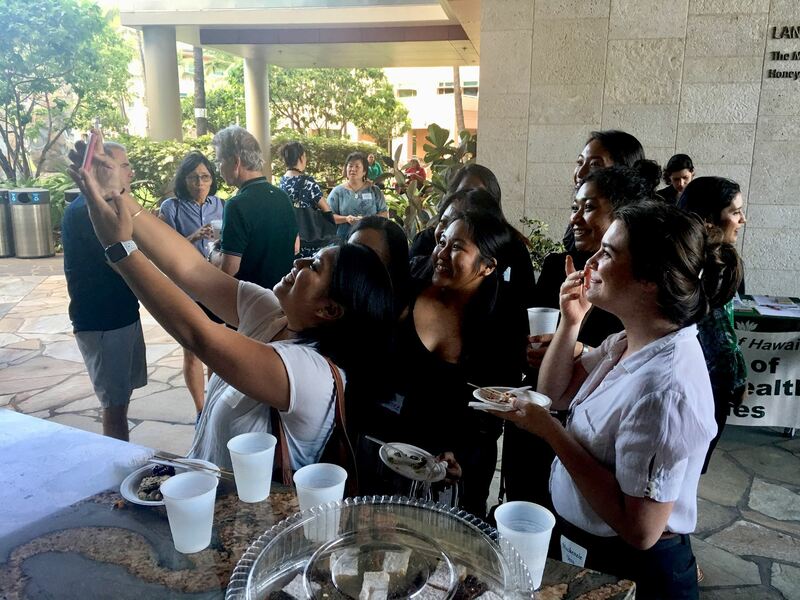 Whether you’re a young professional, student, or an experienced public health leader, joining the Hawaii Public Health Association, an affiliate of the American Public Health Association, has many benefits. 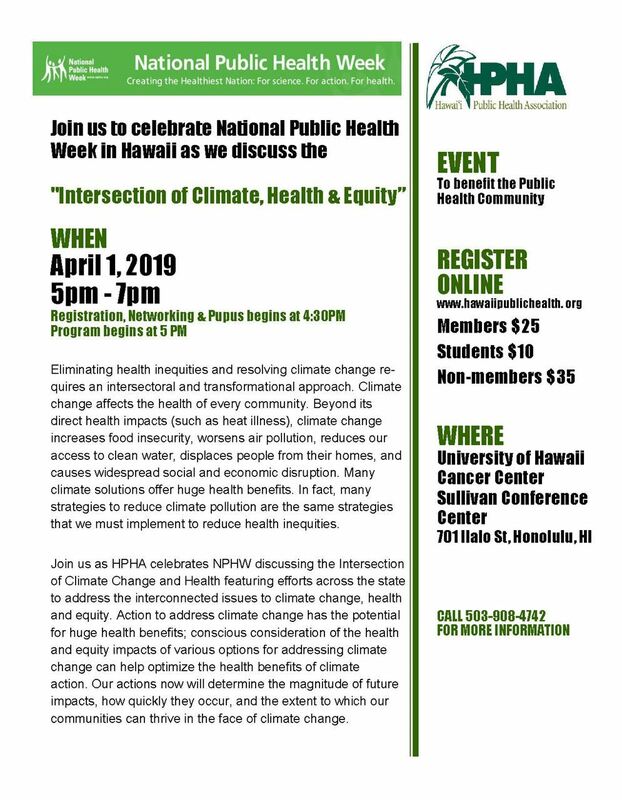 Do you know of upcoming events, resources, or news updates that the Hawaii public health community should know about? 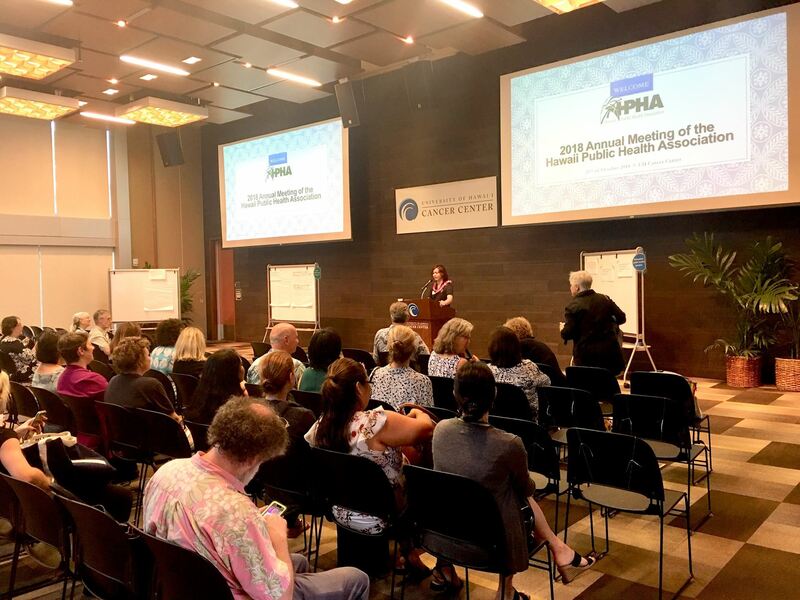 HPHA is an association of community members, public health professionals and organizations dedicated to improving public health.